I sit across from a friend who knows me well. We’ve walked together for more than a decade. My eyes are tear-filled as I look at her and say, “I messed up.” I tell her of how I have failed in an area that has been an off-and-on battle in my life for years. We all have one don’t we? I call it our “Signature Struggle.” It’s the choice or habit or escape we go back to even though we know better. We swear we’ll never do that again—eat the whole pan of brownies or snap at the kids or drain the drink. But then we’re tired or stressed or overwhelmed and, suddenly, we do. No, sister, it isn’t just you. It’s all of us—every wandering, beating heart on this planet. When I give in to my Signature Struggle the critical voices in my mind are so loud: God will never use you now. You’re a hypocrite. You said you’d never do this again and now here you are. You’re a failure. She knows me well. She understands that I will recover from my misstep. I will get up and try again in the area of my Signature Struggle. I will make progress and move forward. I will learn from this mistake. What she’s most concerned about, what could be like a deadly viper sinking its fangs into my ankles, is letting the shame take hold. She’s seen what happens, how I pull back and hide. 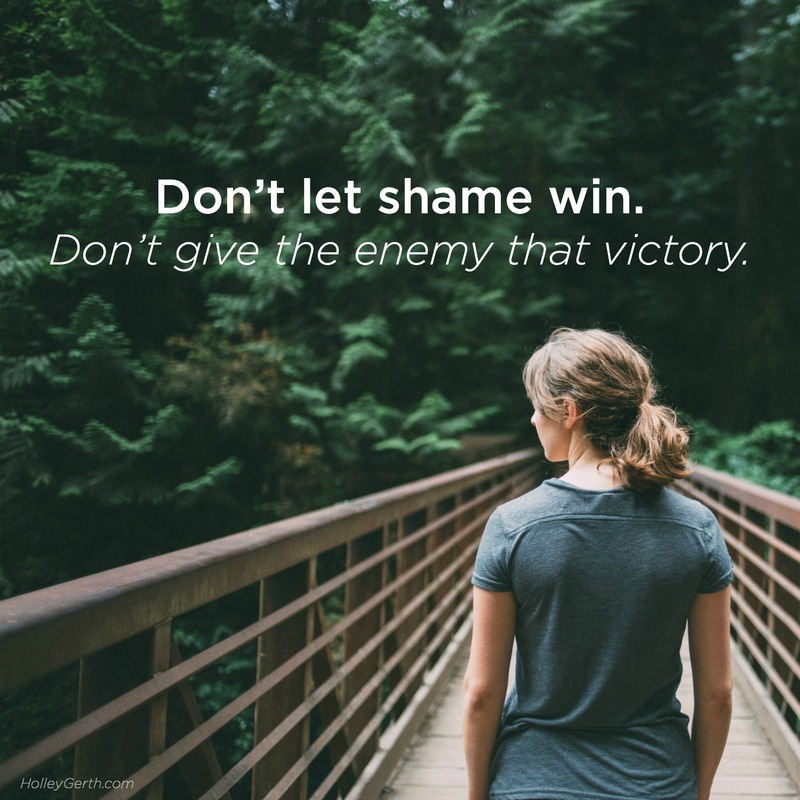 She wisely understands what the enemy is really after is not simply to make us sin—the cross has already taken care of that—it’s to make us abandon our identity. It’s to convince us we cannot be both imperfect and loved at the same time. It’s to tempt us to believe our worst moments define us.